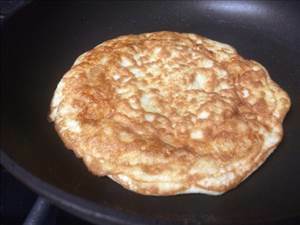 A healthy tortilla to accompany a variety of dishes. Cook in a well greased skillet. 59 members have added this recipe to their cookbook. Okay, check recipe on Bob's Red Mill coconut flour, more flavor and easy to make. An Italian twist on a classic hummus. Easy breakfast, side or main dish, good hot or cold. There are 47 calories in 1 serving of Coconut Flour Wrap. Calorie break-down: 14% fat, 41% carbs, 44% protein.